The Supernail® N/A Polish Remover can be used on both natural and artificial nails. The remover softens polish and keeps the nails clean without any residue. The product is offered in 16 fl. oz. bottle. Ronkonkoma, NY, December 19, 2018 – Qosmedix is excited to introduce Supernail® N/A Polish Remover to their expansive collection of salon supplies. 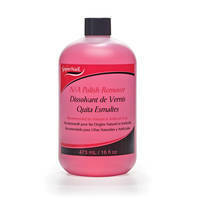 This remover softens polish, leaving nails clean of any residue. Supernail® N/A Polish Remover is safe to use on both natural and artificial nails and is perfect for salon or at home use. This product is made in the USA and is available in a 16 fl. oz. bottle with volume discount pricing. Please visit www.qosmedix.com to place an order or to learn more about these products.